A national waste management company believes it is winning the battle of the gender pay gap – and has pledged to minimise barriers to further gender pay equality. CSG reports a median gender pay gap of just 3.8% across its business, compared to the national average of 18.4%*. The company presented the findings of its gender pay gap analysis to staff at its network of more than 20 regional recycling and waste management facilities. 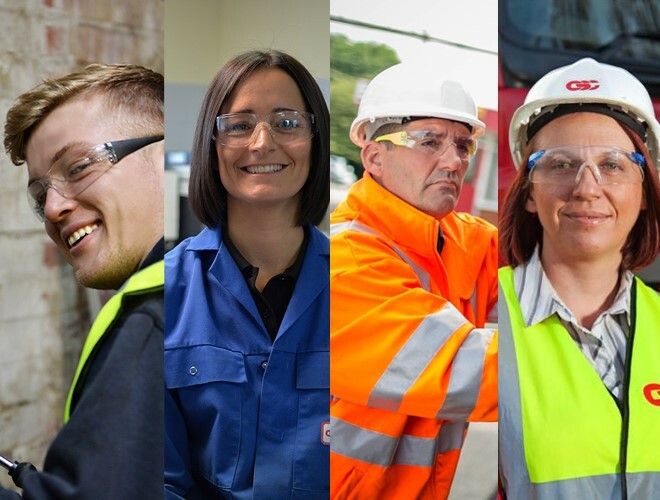 Leanne McGinty, CSG HR Manager, said: “Traditionally, the waste management industry might not have been seen as an obvious career choice for women, but CSG has always been committed to the principle of equal opportunities, with a clear policy to pay people equally for the same or equivalent work. “The results of our gender pay gap analysis for the year ending 5th April 2018 bear out that commitment, demonstrating how effective CSG ‘s policies have proven in minimising the gender pay gap throughout our organisation. “However, the fact that we perform significantly better than the national average does not give us any excuse for complacency. The company, which has its headquarters in Fareham, Hampshire, will continue to monitor the proportion of men and women applying for jobs and being recruited, as well as those applying for and securing promotions. Further investigation is focused on the numbers of men and women in each role and pay band, the take-up of flexible working arrangements and reasons people leave the organisation. * October 2017 Office for National Statistics (ONS) Annual Survey of Hours and Earnings (ASHE) figures).